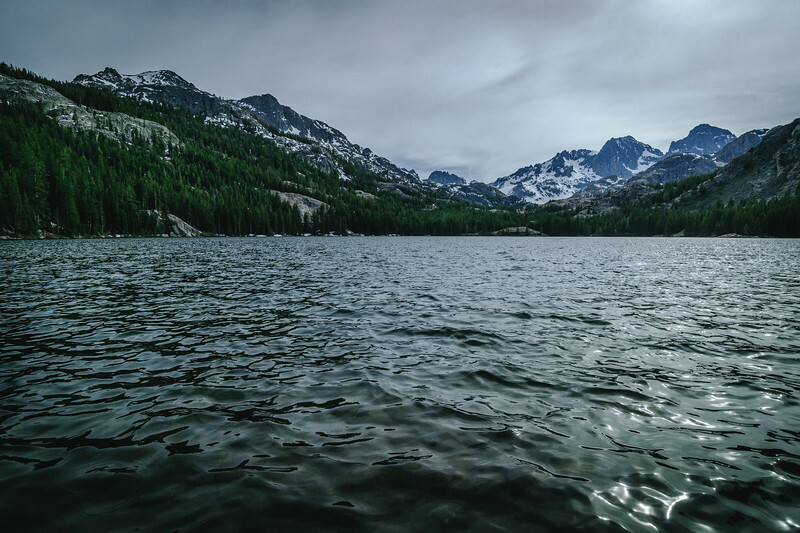 That's Shadow Lake, one of the must-do day hikes from Mammoth Lakes, California. Start at Agnew Meadows and it's about 3.6 miles to the lake. Directions here. The pic looks better larger -- click above. Two big peaks -- Banner and Ritter -- sit at the western end of the lake. Meaning you should photograph it in the morning and avoid doing what I always do: hiking there in the afternoon. It was overcast when I arrived today with the sun peaking in and out of the clouds. With the sun out, the lake was practically un-photographable. But when it retreated behind the clouds, there was a chance to grab a pic. TIP: When you encounter tough lighting situations such as this -- really bright skies, really dark shadows -- shoot in RAW. You'll have a much better chance of saving some detail in the shadows and skies. 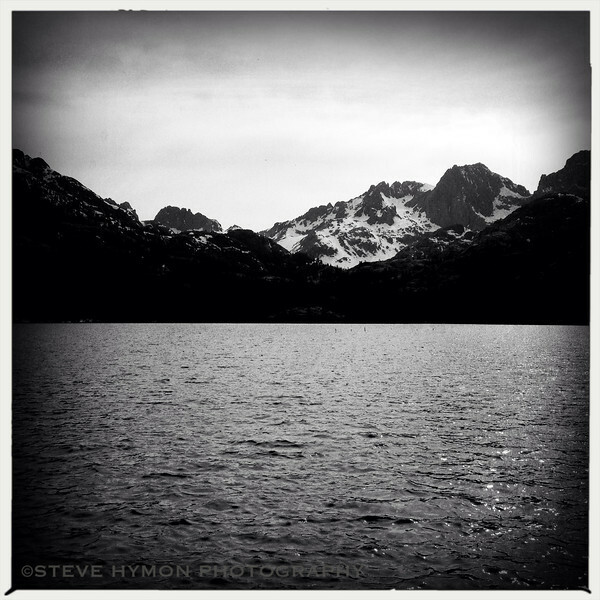 The photo above is ©Steve Hymon and may not be used elsewhere without my advanced written permission. All rights reserved.